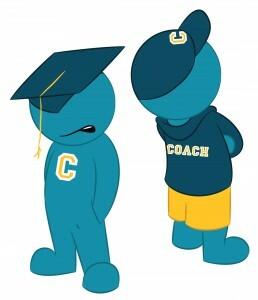 What If You Do Not Hear Back From Coaches? Think of your recruitment as a job. You need to work hard, stay organized, and do it every day. Recruiting can and will be frustrating at times. If you do all you can for your recruitment, you will be able to learn from your experience and find the perfect college to fit all of your needs. I know you have heard it all before, but in order to get recruited you need to: create a sports resume, make a targeted list of colleges you want to attend, send out your information to college coaches, and build on the relationship from there. It may sound like no big deal and not a lot of work, but when you really break down the process to the nitty-gritty you will find recruits and their families spending hours and sometimes days preparing for contacting college coaches. This may sound like too much effort, but it’s essential if you are serious about finding the right college. Many times recruits will put in the time, but still be faced with the fact that they are not receiving the responses they had hoped for from college coaches. This happens more often than not; it’s because the recruit is not qualified to play at the level they believe they should be. College coaches at NCAA Division I schools are bombarded with correspondence from recruits across the nation who want to be a part of their team. So, it should be fair to say, your recruiting resume and follow-up communications have the potential to get lost in the shuffle. There may be many factors involved which can explain a coach not returning your emails or phone calls, but if you let that deter you, than you will find your recruitment extremely frustrating. Before you jump to conclusions as to why coaches you’ve reached out to numerous times have not responded to any of your emails, you should think about what it is you are sending them. Are you addressing them by name, not just “Dear coach”? Are you listing out all relevant sports information a coach will need when recruiting (academics, athletic abilities, club and high school coaches contact information, video footage) players? Do you make any reference in your email about his team or school so as to not talk about yourself the entire time? Do you touch on topics about meeting academic eligibility? All areas you need to include when communicating with coaches. It’s the little things that will stand out to a coach; asking for a scholarship right off will not impress them in any way. They want to know who you are, what you have to offer and why you think you will be an asset to their team. Give coaches a reason to reply to you. Recruiting is about marketing yourself and building off all of your attributes. Be proactive and don’t give up easily. If you have more questions on reaching out to college coaches than leave a comment below or connect with us on Facebook and Twitter.